It seems “roguelike” is the latest buzzword in the Indie games business. Take one look at the games being submitted to Steam’s Greenlight program, and you’ll see the word roguelike appear frequently in the game descriptions. But the majority of these games are not traditional roguelikes; few of them are step-by-step RPG dungeon crawlers anyway. What they all have in common though, are the more notorious features of the genre: permadeath, randomly generated dungeons or stages and a punishing difficulty curve. Perhaps it’s because of the success of games like FTL: Faster Than Light and Rogue Legacy, but roguelikes and roguelike hybrids are coming to life in a big way. Following suit is Dungeon of the Endless, a game developed by Amplitude Studios that is described as a “roguelike dungeon defense game integrated into the popular Endless Space universe.” Though I’ve never played Endless Space, I was invited to preview Dungeon of the Endless, and it turned out to be yet another interesting combination of genres. Like most roguelikes, the game provides the player with very little at the beginning of the game. In the early build of Dungeon of the Endless that I played I was given two level 1 heroes to explore the wreckage of a fallen spacecraft. I could click on a hero and then right click on a door to move the hero into the next room, and if there were enemies, combat would play out automatically without any further input from me. The one thing I could do was press the “heal” button when necessary, which consumed Food, one of the game’s primary resources. I soon discovered that resources were very scarce in Dungeon of the Endless. After using only a few heals my Food was gone, and a short time later my pathetic heroes were dead and I was staring at the title screen again. My next few games played out similarly. I discovered that Food could also be used to level up my characters and recruit new heroes, and I found a couple of treasure chests containing useful items like weapons, so I got a bit further, but I was still inevitably overwhelmed shortly after the start of the game. The reason I kept dying was that in addition to the enemies that could be lurking behind closed doors, waves of enemies could also spawn in the rooms I had already explored every time I opened a new door. If too many waves attacked my heroes at once, I was doomed. On the other hand, if I ignored the monsters, they would attack my crystal, and if the crystal was destroyed, that would also end the game. The reason the crystal is so important is that it provides yet another resource called Dust, which can in turn provide the electricity needed for a variety of features. Dust can power adjacent rooms so that the lights come on, preventing enemies from spawning in those rooms while the player is off opening new doors, but there is never enough Dust to light up all the rooms (killing enemies provides a bit more, but if the crystal is damaged, you lose some Dust permanently). Dust can also be used as a form of currency if the player happens to come across a merchant. And finally, Dust can also provide electricity for modules that the player can build using another resource called Industry. When I finally discovered that I could use Industry to build a Food generating module in a Dust-powered room that would increase the amount of Food earned each time I opened a door, the game finally started to make a bit more sense. I was able to protect my crystal and I was able to level up my characters sooner and more frequently which improved my chances against the enemy waves. It was still very difficult, but no longer impossible. I finally found the exit to the first floor, and was able to move my crystal from the starting point to the exit and advance to the next floor with both of my heroes still alive and leveled up to 2 or 3. Waves of enemies in every direction, and a lone hero and trusty turret to defend the modules. Things got more difficult from there of course, but as I learned more about the game, it became more manageable. I used Industry to build defensive turrets in the powered rooms near the crystal so that they would attack the enemy waves alongside my heroes. I discovered that one of my heroes could repair damaged modules, so I also moved him back to repair my turret when necessary. And I started to really understand why and when the enemies would appear, and I was able to prepare accordingly, if not effectively. That’s when Dungeon of the Endless started to really become fun. It’s definitely a work in progress; it needs a lot of balance work, better tutorials, difficulty tuning, and there are entire features that are not yet even implemented, such as a fourth resource called Science, but I can see a lot of potential here. The one thing the game really lacks is storyline content beyond the introduction. Although your randomly generated heroes are given backstories, I was hoping to discover something more while exploring, and so far I have not. Nevertheless, I’m looking forward to playing this game again once it is finished. The foundation is solid, it just needs a few more floors and some polish, and it could be the next breakout Indie roguelike. 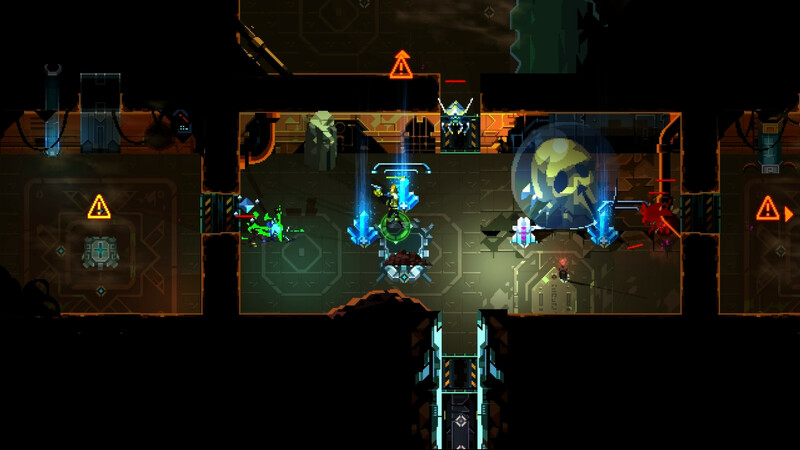 Before writing this preview, Ari played 2.5 hours of Dungeon of the Endless version Alpha 0.1.3.